My grandma gave me this dresser when I moved into my first apartment in college. After two good years of use, I decided to update it when I moved to San Diego. I was really into the whole “shabby chic” thing at the time so my roommate and I wanted to try out the look and extend it throughout our apartment. I unfortunately did not take a photo of this dresser beforehand, but it was a dark amber wood and looked very 70s. 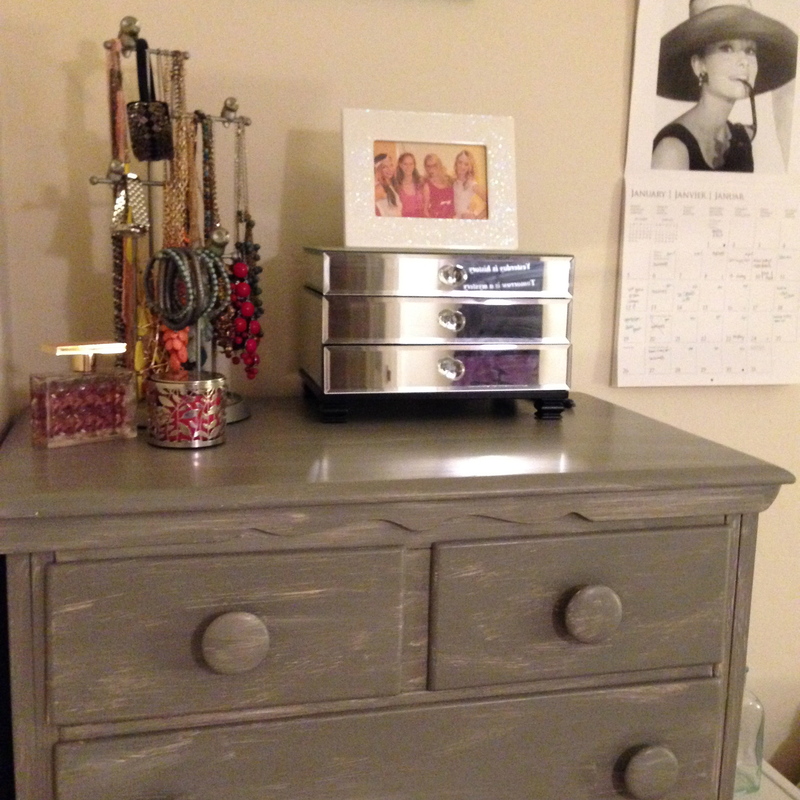 Tying it in with the shabby chic theme was relatively easy – just a white coat of primer and then a shade of gray on top. To get the antique look, paint a section and then use the brush backwards to pull out some of the white. So, instead of just painting left to right with the bristles pointing to the left, keep the bristles facing left and push the brush right to left. This gives the paint a distressed look. For more DIY projects, click here.